Welcome and thanks for visiting the official web site of the 2009 18u Georgia Roadrunners. The Roadrunners would like to say a special THANK YOU to Michael Barrett, former Roadrunner and current major league catcher, for all of the help with the team. The players have enjoyed working with you. Keep checking back as we will post additional committments as they happen. Roadrunners win the 18u Triple Crown Summer Nationals Championship!!! The Roadrunners finished up their 2008 summer with a BANG, by winning the 18u Triple Crown Summer Nationals at Myrtle Beach, SC!!! After going 3 - 0 in pool play scoring 29 runs and only giving up 3 runs the Roadrunners earned the #1 seed heading into the championship bracket. The end of pool play also meant that for the rest of the tournament we would be with out Luke Bailey, Cody Stubbs and Daniel Tuttle as they all headed to the East Coast Pro Showcase. Our first game in the bracket was against the Macomb Inferno which we won 11-1. The second game of the day and bracket was against the Eastern Shore Hurricanes with the score ending at 13-2. The Roadrunners now where headed to Friday and the semi finals. The final day of the tournament started off with a pitching duel witch pitted the Roadrunners with Jon Reed pitching against the Red Gamers. Jon was up to the task winning the duel 1-0. With that win the Roadrunners moved on to the Championship against Team Georgia. The Championship game would go back and forth between the two teams and would go to extra innings tied at 7-7. Due in large part to Tommy Corbin and James Connell. Tommy who had driven in 5 runs in the game including a bases loaded double off the center field fence to tie the game in the 4th. And James who threw 4 shut out innings and would eventually get the win. The Roadrunners would load the bases with 1 out in the bottom of the 8th. After a pitching change for Team Georgia and a pinch hitter for the Roadrunners the next pitch hit the Roadrunners batter to end the game on a HBP. 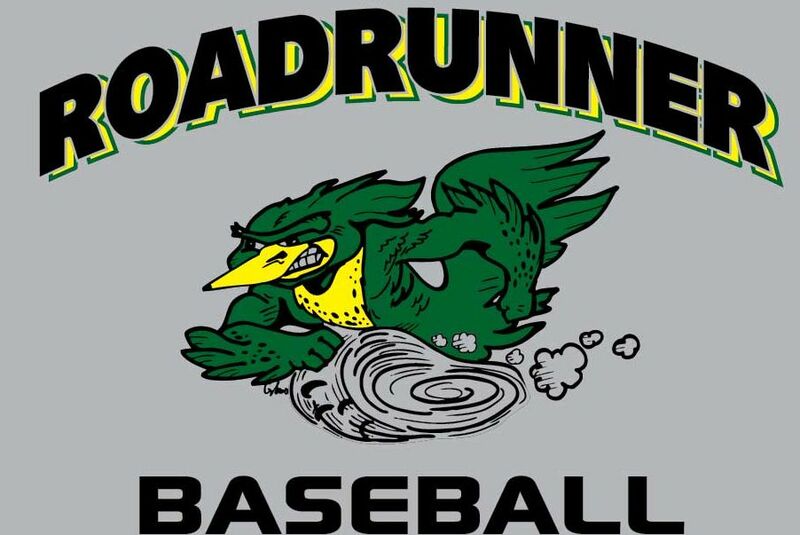 The Roadrunners had a great tournament offensivly by scoring 62 runs. They also had great pitching as they only gave up 13 runs. Congratulations to the Roadrunners on finishing the year on such a great run! And for winning your 3rd National Championship in 4 years!!! Also additional congratulations to 2 Roadrunners who were honored by Triple Crown with Jon Reed getting Defensive MVP and Tommy Corbin getting the Offensive MVP of the event. Way to go guys!!! The Roadrunners started off the 2009 Summer by winning the CABA State touranment at East Cobb. The Roadrunners went 5 - 0 in the event. Current Roadruners Luke Bailey and Daniel Tuttle were named to the AFLAC All American Team on 7/1/08. They both were introduced before the Braves vs. Phillies game at Turner Field. Where they received their AFLAC jerseys and meet several more of their team mates. They also got to meet the Honorary Chairman of the event, Hall of Famer Ozzie Smith. Also two former Roadrunners, Donavan Tate and Drew Steckenrider, were named to the team as well. They will travel out to California in August to play at Dodgers Stadium in the Alfac game. Way to go boys, we are all very proud of you and your accompishments!!! You can click on the headline for the link to the Aflac site. Two Roadrunners, Luke Bailey and Cody Stubbs, have been asked to tryout for the USA Baseball Junior Team. Youth National Team Trials in Cary, N.C., run from Aug. 4-10, and the Youth National Team Training runs from Aug. 11-14.